These are the original 13 Romans Lab DVDs. 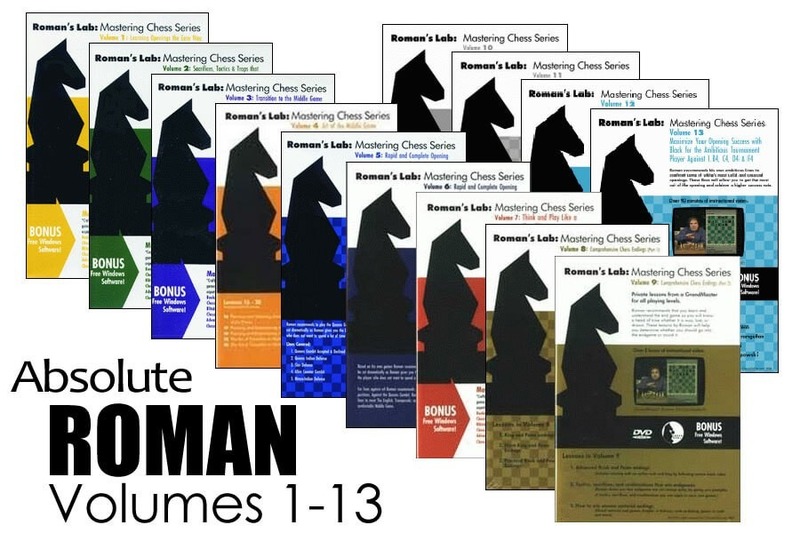 These cover all the bases to help assist you in your endeavor to become a dominant chess player. This includes a complete rapid opening series for the tournament player, a complete endgame series, a Mastering Chess series, and much more. Considered one of the strongest players and trainers in recent history, Roman can help take your game to the next level, just as he has many strong players in recent decades. Computer Software and DVDs can only be returned or exchanged if the product is in its original, shrink-wrapped packaging and has not been installed or used in any way. Once you open the packaging of a Computer Software or DVD title, it can only be exchanged for the same title if the original media is defective. There are NO exceptions to this rule.